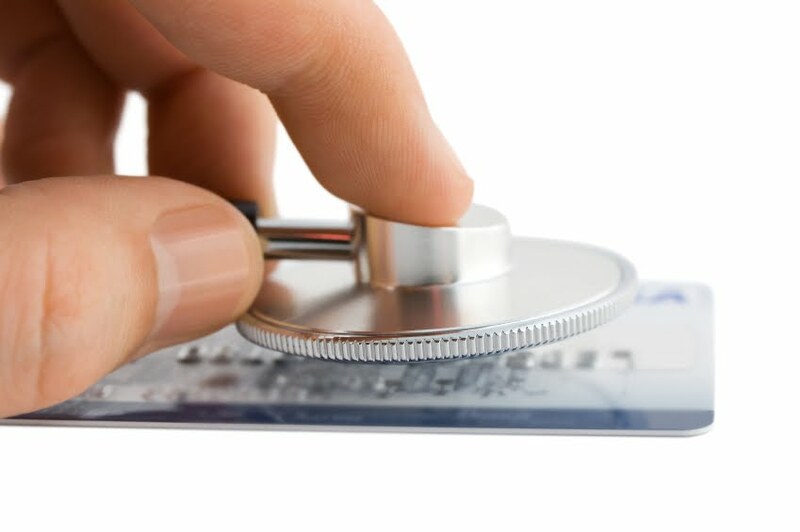 In two previous articles we explored the different levers for growing bank revenues and the challenges banks are facing to implement one of those levers – effective cross selling. In this blog, we will describe where we see the financial services industry is headed based on the successes early adopters are having. Cross selling at the point of interaction, both sales and servicing, clearly is an important approach to complement the different campaigns including direct mail and email campaigns. Many banks have been cross selling at the point of interaction for a while, yet it can mean different things to different people. 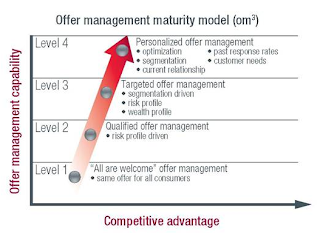 In an earlier article(part 1 and part 2) we presented an offer management maturity model that helps classify the different efforts around cross selling at the point of interaction. The model describes a continuum of increasing sophistication and capabilities to improve the targeting and overall success of cross selling at the point of interaction. This diagram shows the Offer Management Maturity Model. Banks and credit unions have widely used level 1, and many are leveraging level 2 interactions. Let’s look at these interactions in a bit more detail. Banks should desire to progress up the offer management maturity model to better leverage customer interactions to create more meaningful and profitable customer relationships. Level 3 can improve the process by adding detailed customer segmentation to the solution, making qualified offers to clients who fit a profile of those who have accepted previously AND have created profitable relationships. While this may improve overall offer success, this approach can be largely constrained by a bank’s focus on particular products or channels. Nevertheless, Level 3, when deployed correctly, will mostly result in an improved results compared to previous levels and is often an interim step on the way to Level 4. Level 4 brings together all data about a customer including existing relationships, their performance in those relationships and response to prior offers. These together with all potential products and servicing options help create a personalized action-based system across all channels and points of interaction. A key to achieving level 4 is to leverage behavioral information as well as advanced analytical techniques to build the most profitable, meaningful relationships with customers. The important distinction here is that the product relationships that are created are optimized based on the customer’s needs and overall customer profitability, not individual product performance. Advanced analytical techniques, including propensity modeling and relationship optimization are keys to these solutions. Equifax is helping customers implement meaningful offer management solutions, including helping customers move up the offer management maturity continuum to levels 3 and 4. Our InterConnect Action Advisor solution, along with our analytics expertise can help you take the first steps in improving your cross-sell effectiveness at the point of interaction. If you want to learn more about Action Advisor reach out to your Equifax representative or send us an e-mail.